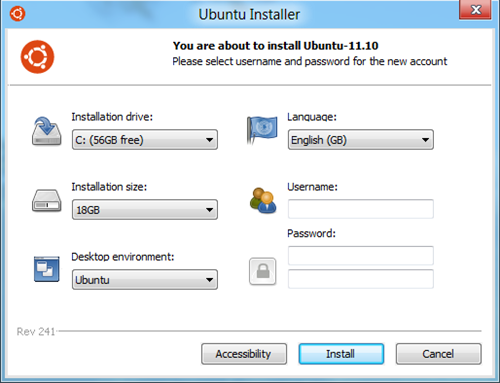 WUBI, the Windows-side installer for Ubuntu, is likely to be dropped from Ubuntu 13.04. The tool allows Windows users the ability to safely install Ubuntu without the need to partition their hard-drive. It was introduced into Ubuntu images by default during the 8.04 release. As well as safe-guarding users’ data and saving them from ‘Did I wipe Windows?‘ panic, WUBI allowed for Ubuntu to be easily uninstalled using the ‘Add/Remove Programs’ section of the Windows Control Panel. But the introduction of Windows 8, combined with a lack of general development on the utility, means that Ubuntu now consider the user-friendly tool a millstone around their necks. This is not the first time that WUBI’s fate has been up in the air, however. During the Ubuntu 12.04 development cycle it was considered for removal from the Ubuntu CD. It ultimately saw a reprieve.